The current cover is featured above, we publish four issues each year. Click to go to a Directory of RoverView Issues with Covers and List of Content. Members can click to access the RoverView Library of Issues. This is available only to members and is password protected. 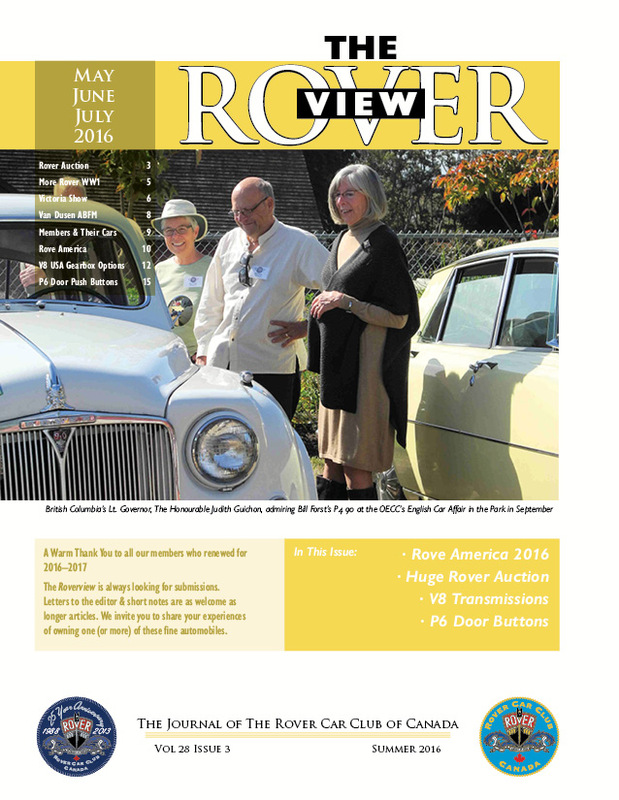 Members can view online or download issues of the RoverView. Password will change with notice to members. If you have forgotten your password please contact Vern at roverview@inkspotco.com.